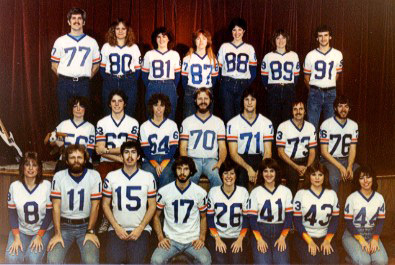 We started "The Team" started back in 1976, which in the photos may account for the funny haircuts. 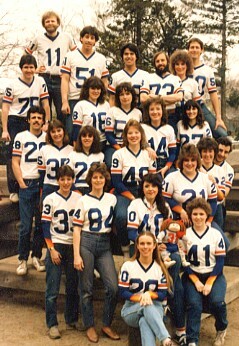 I was just a kid then, a student at Gordon College, with an abundance of enthusiasm and facial hair. 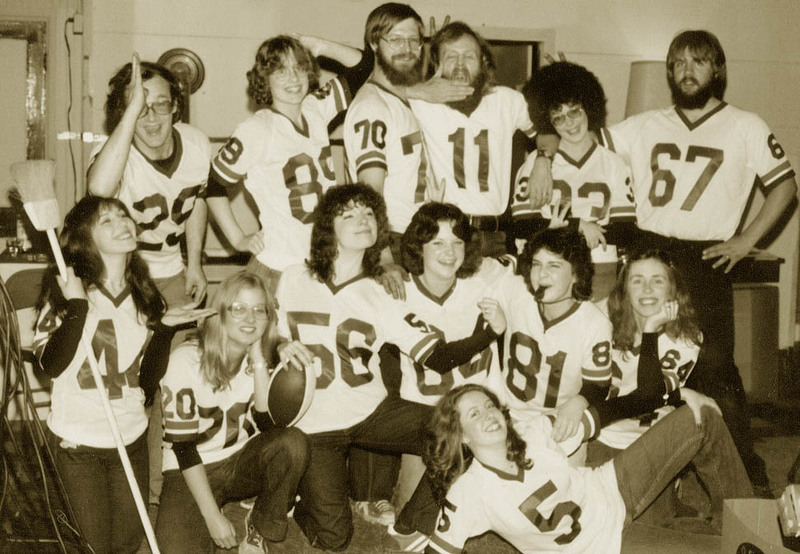 In late 1975, a bunch of friends and I decided we wanted to reach teens for Christ by communicating the gospel in some relevant way. But, alas, we were clueless. Many other friends had formed Christian bands, but the best music I could play was on my stereo. I was a bit bummed about this, but I came to realize that as a writer I'd been given a different gift. 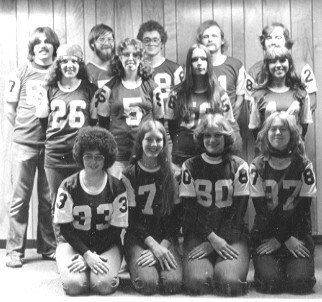 Above (left) is the 1978 cast photo and a less formal one from 1980. 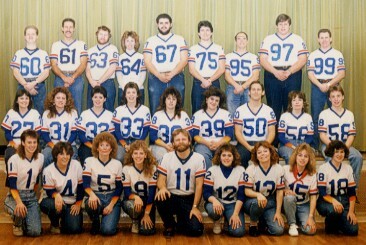 Thus New England ended up with about 147 Christian bands and one rather unusual drama ministry. Bands sometimes couldn't get quality bookings; meanwhile we were increasingly swamped with awesome opportunities, up to 70 a year. And young people really responded. 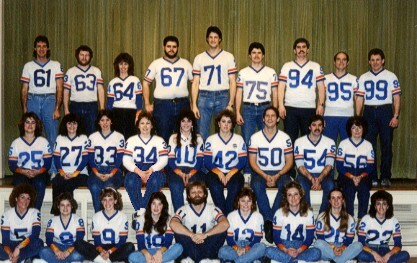 I soon found myself barely scraping by while doing two jobs - church youth pastor and directing "The Team." As Inspector Renault said in Casablanca, "Serves me right for not being musical." 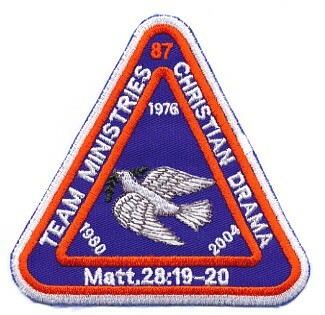 For 18 years, between March 1976 and December 1993, Team Ministries was New England's touring Christian drama company. We often went to other northeastern states, and occasionally beyond, on tours to Canada, the Great Lakes states, and the Southeast. 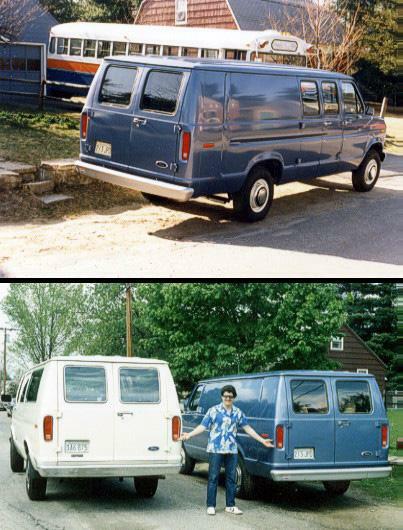 We traveled by van. A blue one for equipment and costumes, and a white one for us. Before that, we traveled by bus. 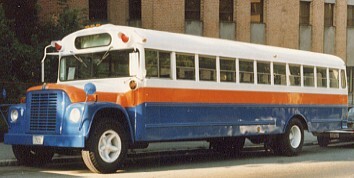 A blue, white, and orange bus ... that broke down a lot. But we never missed a show, by the grace of God. 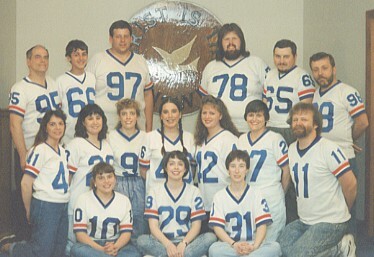 In the early '90's, "The Team" was voted to the Top 10 List of Christian touring musical/drama ministries for the Northeast U.S., in a survey of church leadership conducted by Vision New England. Seven original productions, 19 states, 226 members, and 909 performances later, in December 1993, we decided to close shop and move on with our lives. 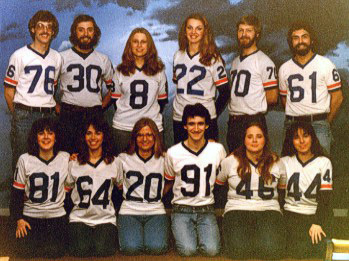 Many wonderful and committed Christians were a part of "The Team" over the years, some staying a few months, and many others five or ten years. Our original material evolved with our sense of calling to minister to the needs of Christian young people and to evangelize in both religious and secular settings. 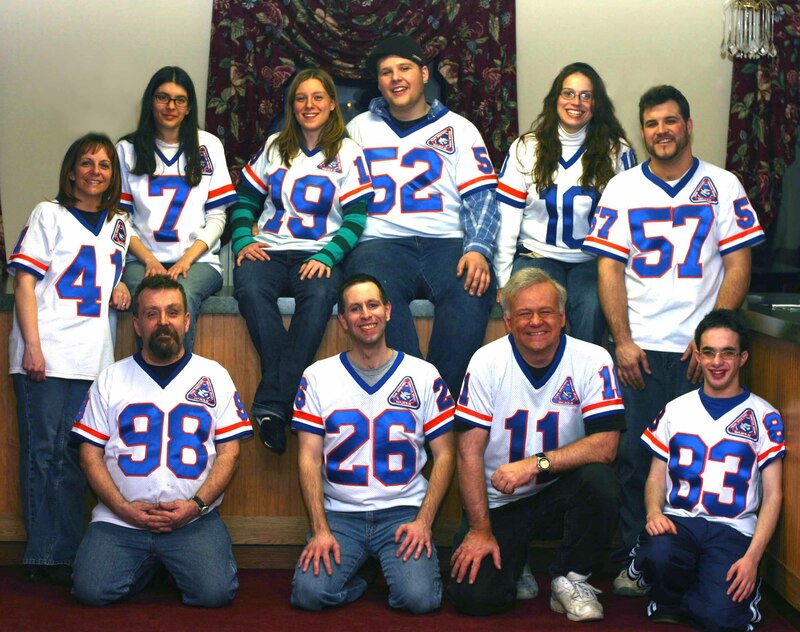 In 2003, after ten years pursuing other interests, I felt called to return to Christian drama ministry. I kept arguing with God that I must be crazy. He replied, "I know ... but I'll use you anyway." Cast photos taken at shows in 1981 and 1993. Our first production after our looong hiatus was called "Chain of Redemption" (2004-05). In the first half of 2006, we performed "Cheerleading Is Har-r-d!" Currently we're calling our fast-paced collection of sketches "The Team." Cast photo taken at a show in Jan 2007. For a list of appearances of each production, click here.